Kabul: Religious place where suicide attack took place here on Tuesday. 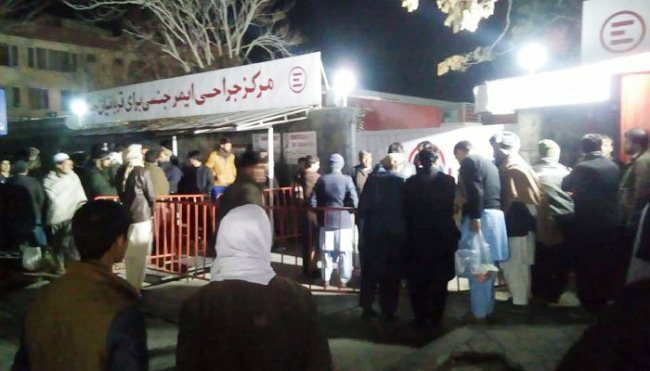 KABUL/ ISLAMABAD (ENN) At least 43 people were killed in a suicide attack on a religious gathering in Kabul on Tuesday, said the officials. 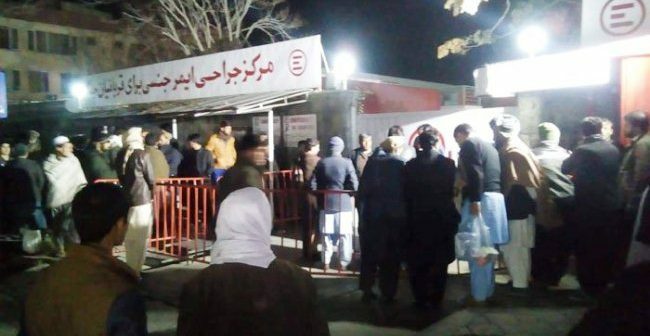 At least 83 people were wounded in the blast, health ministry spokesman Wahid Majroh said, which targeted religious scholars and leaders inside a wedding hall where hundreds had gathered to mark Eid Milad un Nabi (PBUH) — one of the holiest days in the Islamic calendar. Authorities told that at least 24 are in a critical condition. “More than 60 or 70 people were martyred,” Hanif, 31, told International News agency outside a trauma facility run by Italian NGO Emergency. He escaped unhurt. Moreover the President Ashraf Ghani declared Wednesday a national day of mourning for the victims of the attack, which he described in a statement as an “unforgivable crime”.